Sometimes I’m astounded at the lack of ‘fun’ people have during the day and the amount of fun they are afraid of having. A friend recently wrote about enjoying your job (or not), and at the Stemette launch, the loudest feedback we received was on the lack of PowerPoint slides and prevalence of girls just having fun. Typical launches are more ‘adult’ and involve being spoken at in a very formal, dry manner. The Stemettes project is about the girls – so the impact on them and they themselves take priority over the women’s wants/desires/perspective. Many write about the ‘Happiness machine‘ at Google, and the ways the firm is trying to make life enjoyable (read fun) for its employees. Google has a lot of cash to spare – more than most. In 1972 the fourth Dragon of Bhutan designed the ‘Gross National Happiness‘ indicator – a measure of how happy a country is, to be used alongside the usual Gross Domestic Product and economic indexes. Recently, John Stepper (a Managing Director at investment bank & Collaboration guru) wrote on Fun Theory and how it could be applied at work. How do mere mortals create ‘Google’ environments? A closer look at Volkswagen’s Fun Theory website took up the better part of a week and made me wonder about the power of fun and ways we could be, and should be harnessing it in different arenas. I invested time and looked at every entry. As I did so, I spotted a couple of themes. It would be a shame for me to write this post with out a nod to Fun Theory’s older brother Gamification. There are countless articles (and even some conferences) on the topic and it all fits together with intrinsic motivation and ways to get people doing things. To find out more about the wider topic, Google is your friend. As for the Fun Theory, have a look at the themes below, then sit back and think. Think hard. In some cases you’ll be able to implement an idea as-is. In most cases you’ll need to adapt and hone the idea. Here are four ways you can make things ‘fun’. Recycle punishments into rewards – The winning idea was a Speed Camera Lottery which rewarded those keeping under speed limits by entering them into a lottery to win speed fines. Charity Parking Tickets take money put in meters and put give them to charity instead of the Council. Even something as small as a visual stimulus on The Chatter Ladder helps to keep children quiet. Human Energy Christmas Tree lights turn cycling/exercise into pretty light. Garbage Juxebox incentivises tidying up after a raucous street party. The Waker gives you points for getting up on time. In each case a punishment (or disliked activity) brings enjoyable rewards, however temporary. The use of sound and other senses to heighten activity – The runner-up ‘World’s Deepest bin‘ encouraged parkgoers to put their rubbish in the bin. The Cheering Food Collector does something similar for foodbanks. Fellow runner-up ‘Piano Staircase‘ made taking the stairs preferable to the escalator. Countless DJ doormats (here’s another one and another) get people to wipe their shoes on the way into buildings. The People Counter literally makes holding a door open a game. A Drymonica encourages you to dry your hands rather than using paper towels. The Polite Light thanks you for switching it off. Sink Water Light, Counter Tap and Tap Bomb visually let you know that a tap has been running for too long. At the supermarket, Reusable bags jukebox allows you to choose a tune if you reuse carrier bags. In each case, sound has been used to great effect – as instant reward for a good action. Turn it into a known game – Basketball bins feature a number of times (here’s another), turning dumping rubbish into hoops practice. Smashcycling does a similar thing for recycling, as does runner up Bottle Bank Arcade. There’s even Trashbot to help kids tidy their toys and The Green Race collects dead batteries. There is a series of Toilet targets (then 2, and 3) to help a reoccuring issues in men’s rooms. And an effort to bring the casino feel to the toilet in Flushing for Fun. For seatbelts you have the Gaming safety belt and the Guitar seat belt. The Pitfall Crosswalk hearks back to the Atari ‘Pitfall’ game, Crossroadfitnessfunlight turns waiting for the green man light into a game. Sing’n’Clean turns vacuuming into karaoke. Speed limit competition ranks you against fellow drivers in realtime. In each case playing of a game has been introduced to mundane tasks. Appeal to creativity: generate Art (& Bubbles) – Instead of throwing your gum on the ground, why not contribute towards some Chewing Gum Wall Art, a Garbage Collage, Gum Murals, MosaiGum or even a Chewing Gum Sculpture. Water Bottle Vision slowly creates art the more you reuse your water bottle Handwashing Art creates art while you wash your hands. The Musical Sink turns the act of handwashing into band rehearsal. The Musical Bike plays music as you cycle (The Bubble Machine creates bubbles as you cycle, Bubbles for Good does the same as you recycle cans). In each case we’re appealing to people’s creative side as they do some good. Using this in education and for charity? Educationalists looking at the list and entries might consider the end goal of activities they engage their students with – to pick up facts or train a particular behaviour? As a teacher, beyond the traditional Good/Naughty lists what incentives (however small) are you empowered to give over the course of a term or even year? For younger children Who is it makes toilet time fun and Shining Darkness makes children want to switch off the light. Students might appreciate voting for a reward over time (like in the Binpoller or Newspaper style entries) with good behaviour or effort being rewarded with a vote. Charities might want to use spaces to incentivise giving. The Donation Puzzle seems like a basic way to excite contributions. A living Piggy Bank is a slightly more technical way to encourage giving. Mint Me – Book Return gives you a sweet for returning a borrowed book – who can you give sweets to? The Elder Shake strikes me as an idea crying out to be used by charities for the elderly & vunerable. And there has to be a Council near you who would be willing to donate one hour’s worth of parking ticket meters to your cause. The possibilities are endless, but will be tailored to your outlook and situation. They won’t fit with everything that you need done, and probably should be used at once, towards one goal or key performance indicator – whichever has been the trickiest for you to meet up until now. 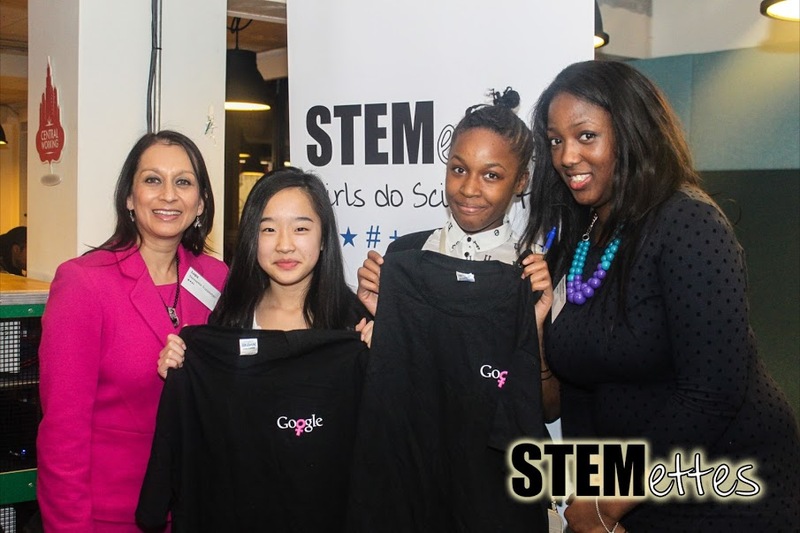 I’m off to plan the next fun-filled Stemettes event. Love this. Your extra analysis is really useful. Making me think.. Thank you!